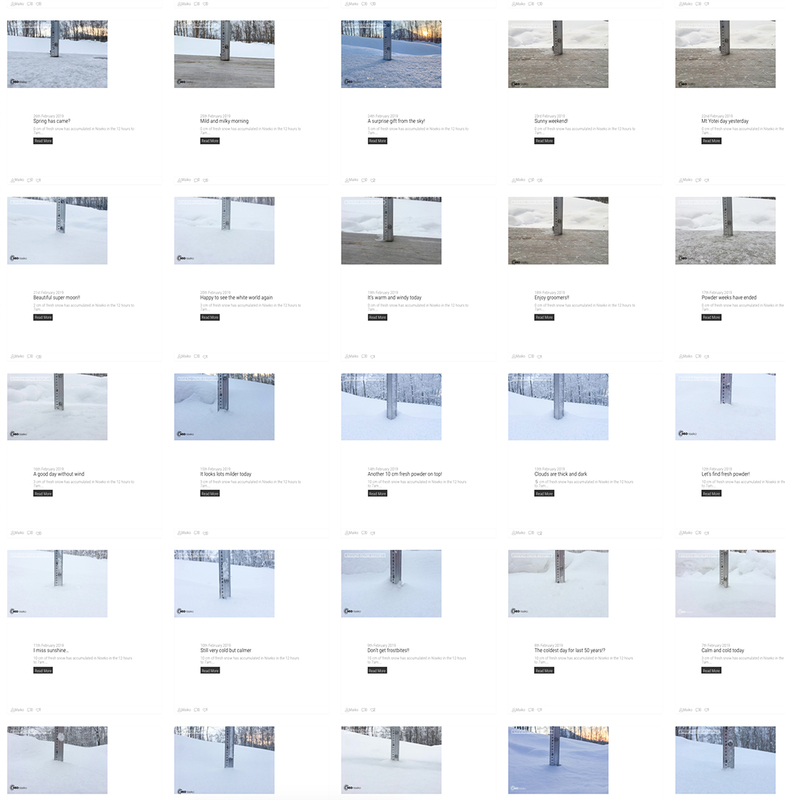 Then after a particularly powdery March in 2017, Japarch was born. In April 2019 the time has come for… Japril. Are you wondering what on earth I’m talking about? You may be aware winter all but ended in mid-February this year, and by mid-March we’d basically resigned ourselves to the fact winter was over a month early this year. 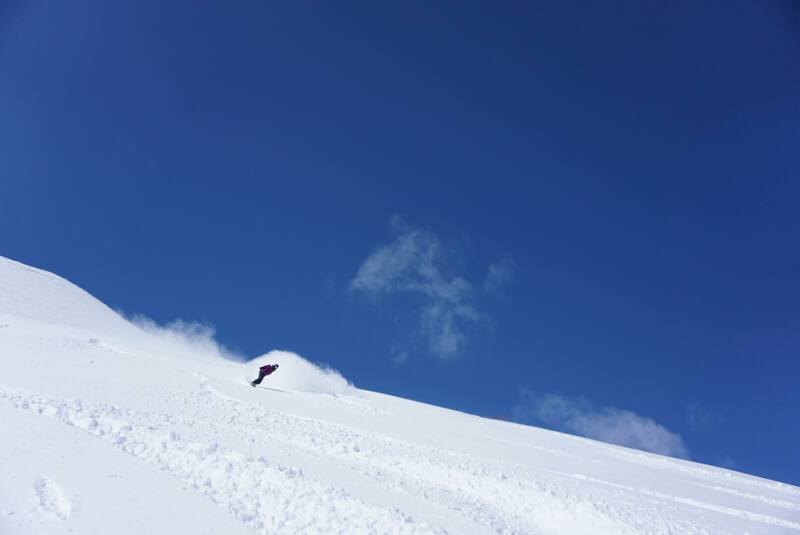 What was worse was that it looked like we weren’t going to get any of our beloved spring powder days – usually we get five or more powder days in March, often coupled with bluebird skies. Rarely do we get any snowfall at all in April… that is, until Japril 2019! After a few couple of powder days towards the end of March we were beyond stoked to wake up yesterday morning (2 April) to 10cm of fresh snow at village level… I had to check my calendar to make sure it wasn’t April Fool’s day! Some incredible photos and footage came from yesterday’s feast – there’s literally no powder-chasing tourists here in this season, so there were fresh tracks everywhere you turned. The powder got baked pretty early with the April warmth, but in the afternoon it cooled off and snowed quite heavily for several spells. 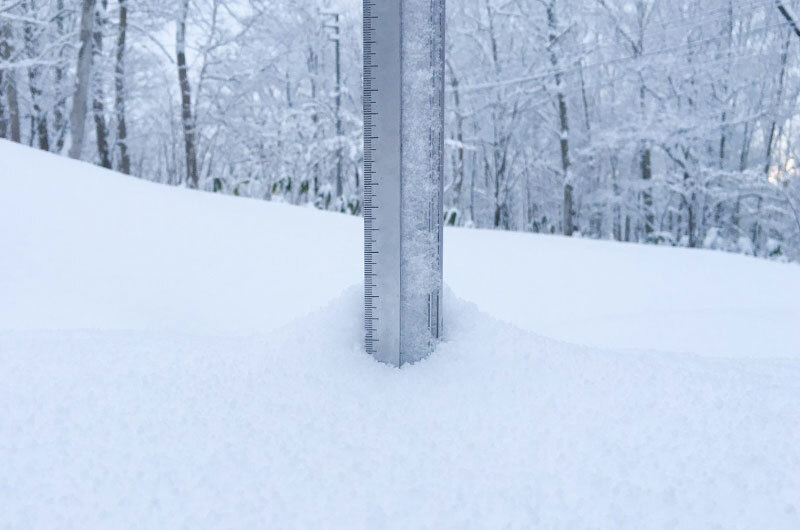 Then we woke up to an overnight deposit of another 10cm at village level this morning! April 3!? With about 20cm of fresh up high where it was a perfect -5C, conditions were all time. To top it off we had perfect bluebird skies, with classic Sea of Japan and Pacific Ocean views from either side of the peak. Powder Yoga founder Kanami Anderson and ski buddy Jessica Reavis are some of the few seasonal residents who stuck around into April… and it’s already paid off in spades. Kanami: Goooood!!! We lapped Hano 3 & Gate 5 first and the snow was dry most of the way down. From the peak the whole face heading towards Jacksons was light and fast. Little bit heavier in the trees above cat track, but still super soft and playful. Fresh lines all the way down! About 20-30 cms of pow most of the places we went. To top it off we had perfect bluebird skies, with classic views of the Sea of Japan and the Pacific Ocean from either side of the peak. The craziest thing is it doesn’t look to be over yet. It’s impossible to tell but looking at the forecast there’s every chance we’ve got at least one more powder day to come. 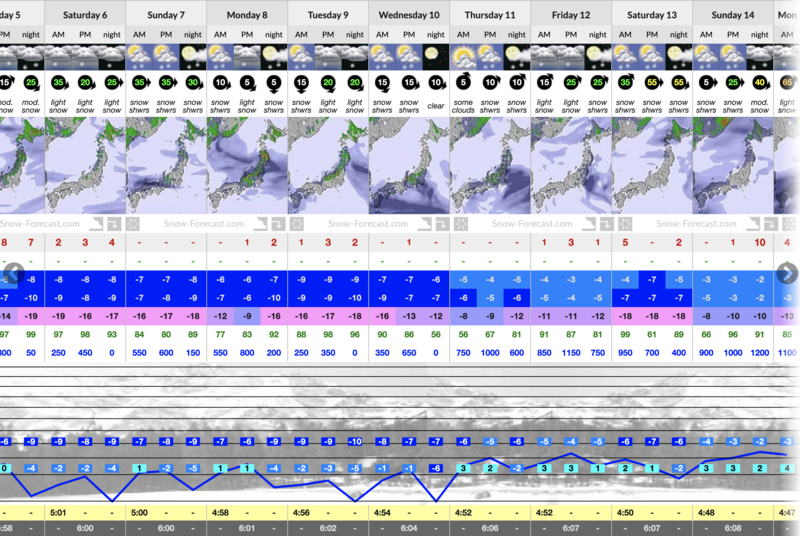 And if you have the ability to make it to Hokkaido, the next week in Central Hokkaido looks like it is going to be back-to-back powder days all week – see forecast below (the red numbers are centimetres of snowfall). We’re going to load the car and head north for one last hit out. Hope to see you there! 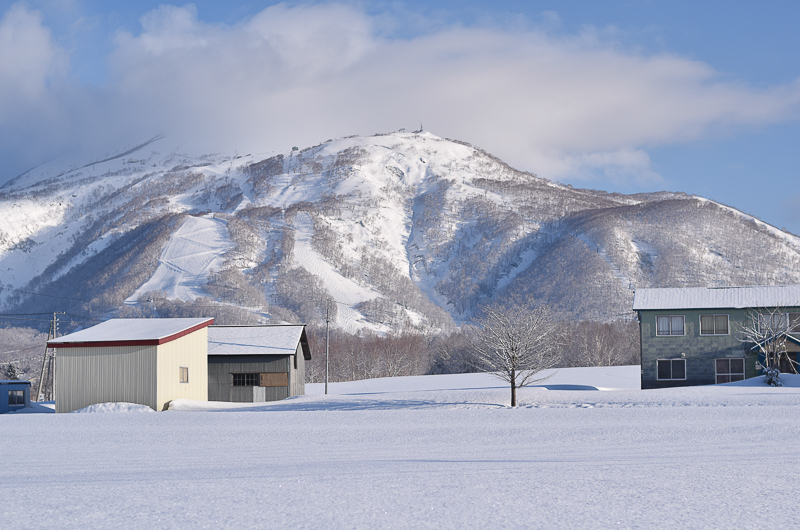 Check out the visual records of this winter’s snowfalls at our Niseko snow report.